Dr. Campazzi holds additional postgraduate degrees including a Master of Public Health with emphasis in Health Care Policy and Management and a Master of Health Sciences with emphasis in Immunology and Infectious Diseases, both from The Johns Hopkins University Bloomberg School of Public Health. Dr. Campazzi also earned his Master of Business Administration with Health Services Management concentration from Duke University Fuqua School of Business. He completed his Bachelor of Arts at The Johns Hopkins University. In 2006, Dr. Campazzi founded Island Medical Care, which was the only primary care practice on the island of Palm Beach. At the request of his patients, Dr. Campazzi began offering concierge medical services. In 2013, Dr. Campazzi decided to focus entirely on primary care concierge medicine under the name of Campazzi Concierge Medical Services. 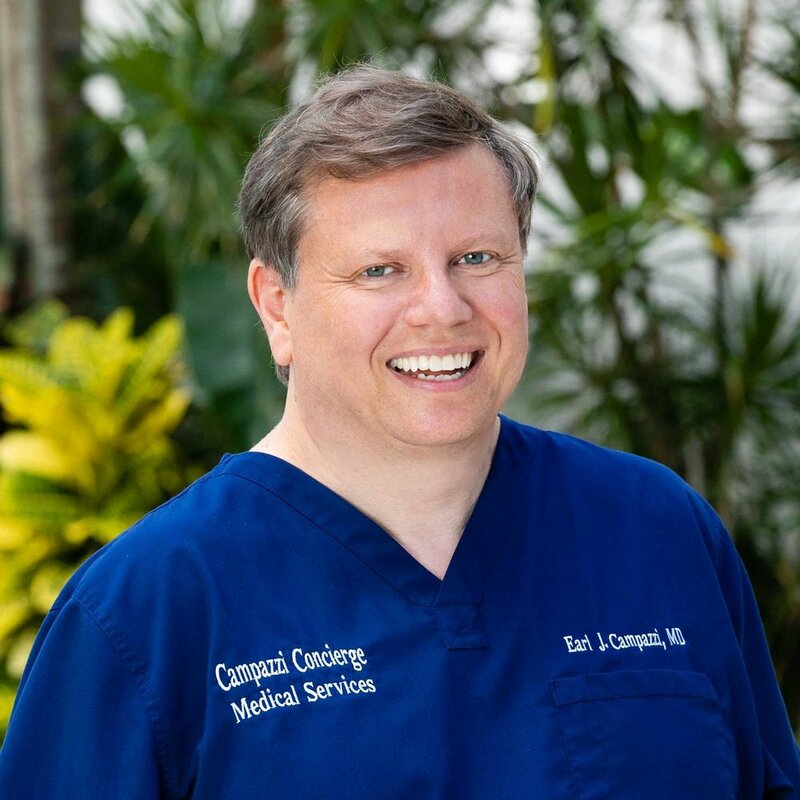 A Castle Connolly Top Doctor since 2016, Dr. Campazzi is on staff at Cleveland Clinic Florida and Good Samaritan Medical Center in West Palm Beach. He is also a member of the Palm Beach Civic Association Health Care Committee. In 2017, he published Just Diagnosed with Metastatic Pancreatic Cancer: First Steps and More, a guidebook for patients. Dr. Campazzi is a concierge doctor in Palm Beach, Florida.